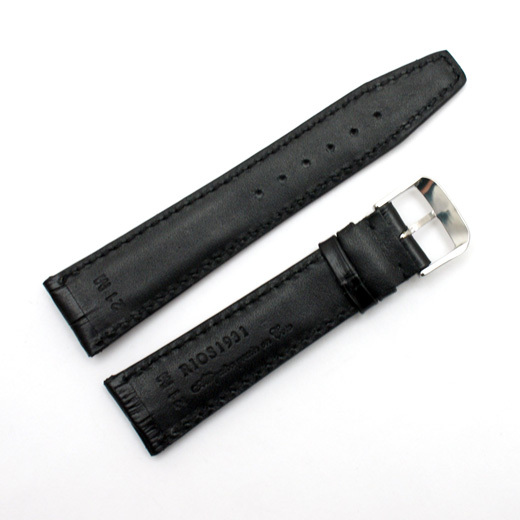 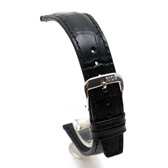 Rios Dallas Black Watch Strap - Matt Alligator Grain Leather - 18mm, 19mm, 20mm, 21mm or 22mm. Please note: We are currently sold out of this strap in 21mm. We have other options here. 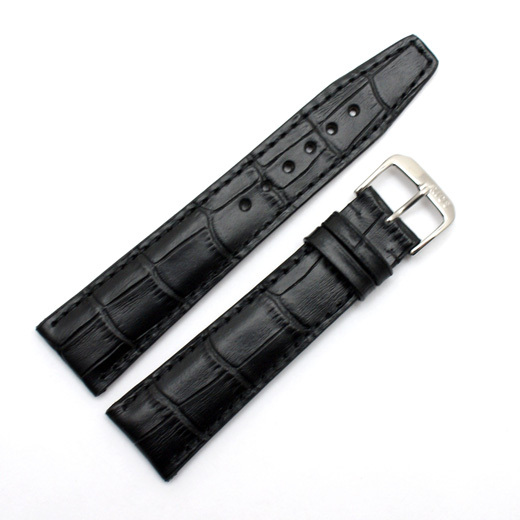 Finest Quality, hand made in Germany using a 172 step production process and with a keen attention to detail, this black watch strap is made from leather in a matt alligator grain finish with thick padding, matching stitching and an IWC style shaped end on the longer piece.